Our clients had embarked on an ambitious project to update a substantial 1960’s suburban villa. 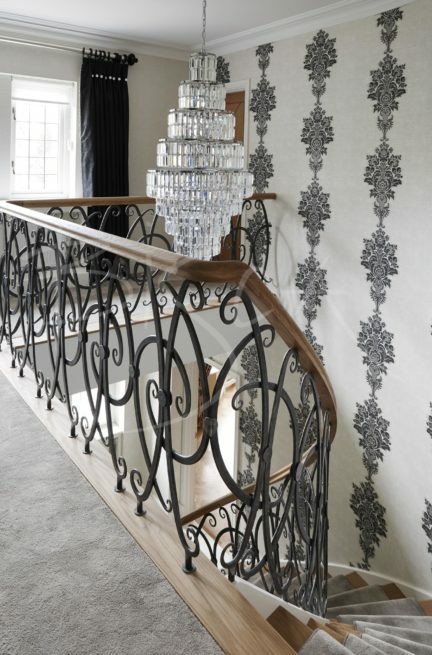 This included a ” Wrought iron ” balustrade as part of the staircase renovation. Happy with the overall shape of the staircase, they wished to replace the traditional, outdated and heavy dark stained timber forming the balustrade and landing gallery. During our survey we discovered the bottom three treads were non compliant with building regulations. However, we took the opportunity to both solve the compliance issue and create a beautiful new feature base to the staircase. We re clad the stair entirely with pale Oak timber. 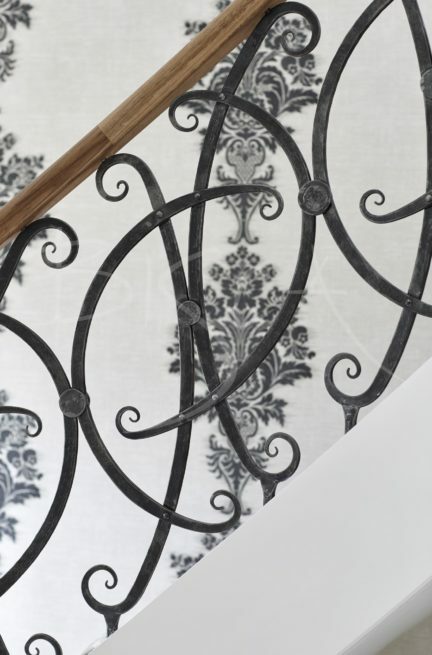 The ” wrought iron ” balustrade is hand forged, blackened and polished. 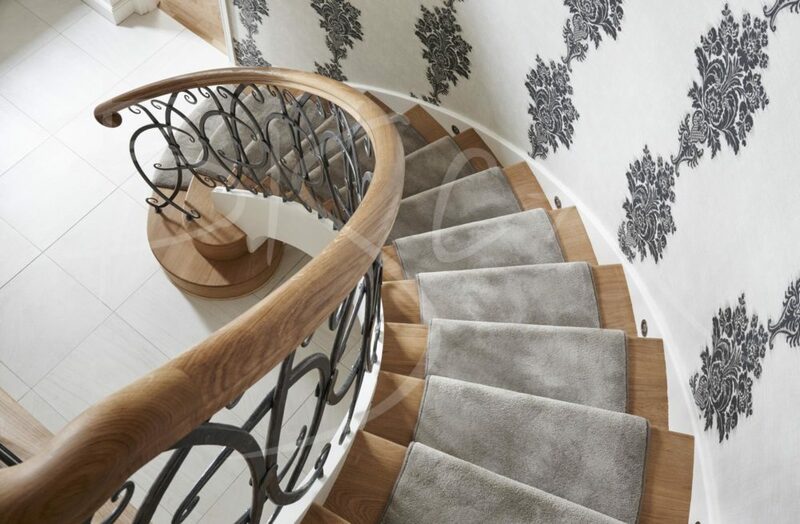 It continues up the staircase and along the landing edges, capped by a hand carved oak handrail with a scroll end. See before and after images of this staircase in our Before & After section. 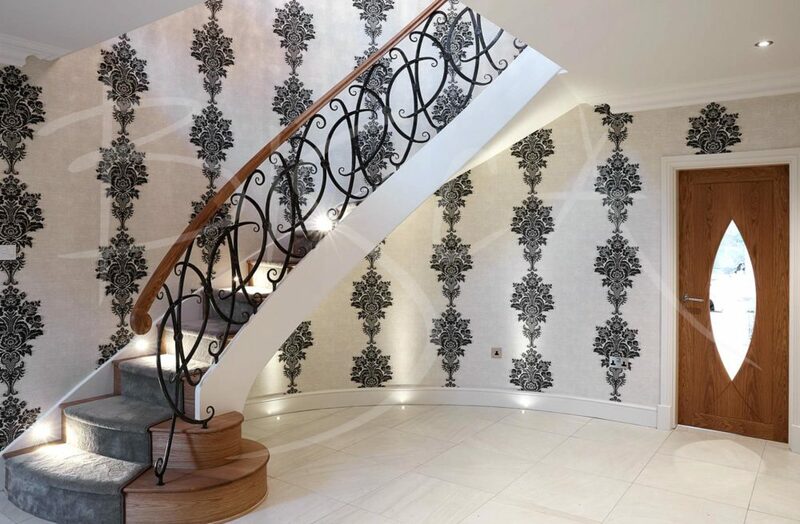 For enquiries about this staircase renovation, or to get a guide price for your own project based around this design please quote reference 4472.